Barrick and Reunion have entered into a strategic alliance agreement in a joint effort to explore and develop projects in the Guiana Shield. Barrick Gold (TSX:ABX,NYSE:GOLD) has entered into a strategic agreement with Reunion Gold (TSXV:RGD), in order to form a 50-50 alliance to collaboratively explore for, develop and mine mineral projects in the Guiana Shield. “The alliance will seek to identify and acquire properties that have the potential to yield discoveries consistent with Barrick’s definition of tier one mines,” he added. For Barrick, a tier one mine is a low-cost operation that produces at least 500,000 ounces of gold per year. Throughout the duration of the deal, if Reunion acquires an interest or has the option to acquire an interest in any mineral property in the Guiana Shield, Barrick will have 90 days to elect to include the new project in the alliance. Under the agreement, Barrick will have the ability to nominate an alliance project as a designated project. It also holds the right to earn a 70-percent interest by sole funding and completing a feasibility study for said asset. Additionally, Barrick will buy more shares of Reunion, increasing its interest in the company from 15 percent to 19.9 percent of outstanding shares. Barrick has also agreed to acquire up to 35.7 million shares of Reunion for C$0.15 each for a total purchase of just under C$5.4 million. Barrick will also have the ability to nominate one director to Reunion’s board of directors. “In summary, you have one of the best geological environment in the world with political and social support and local acceptance for exploration and development which is being conducted by responsible companies in a professional manner,” he added. 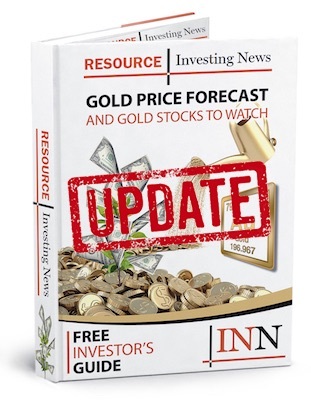 Towards the end of January, Barrick announced that it had produced 1.26 million ounces of gold during Q4 2018 and 4.53 million ounces of gold for the entirety of last year. For its part, Reunion is in the process of raising C$15-million for various projects and recently revised the issue price from C$0.18 per common share of the company to C$0.15. The miner repriced the deal due to current market conditions. The company anticipates that the deal will close on Tuesday (February 5). As of 12:11 p.m. EST on Monday, Barrick was up 0.40 percent, trading at C$17.40; meanwhile Reunion was up 8.82 percent, trading at C$0.19.